Good oral hygiene is an important factor in achieving a healthier lifestyle, especially in adults. Eating a balanced diet, brushing and flossing daily and regular dental checkups are vital in ensuring that your mouth stays healthy. Trauma, neglect and congenital defects can lead to missing teeth during a person’s life, which in turn can lead to more serious problems including tooth decay, an uneven bite, and stress on adjacent teeth. 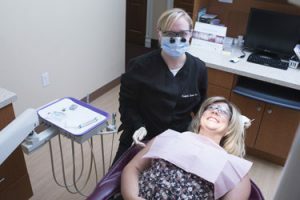 Our goal is restore damaged oral structures and return every aspect of your mouth, smile, and bite to the best possible condition. We look forward to helping you achieve and maintain optimal oral health, proper dental function, and an aesthetically pleasing smile.